Sending something from point A to point B is easier when the label is right. 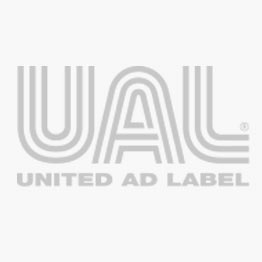 Whether sending by mail or freight service, UAL offers a complete line of address and shipping labels, DOT, IATA compliant warning labels, and communication labels. All designed to help you safely ship, store and transport hazardous items while meeting workplace compliance regulations. Select from preprinted or printer compatible shipping labels, return address labels, hazardous materials stickers and shipping warning labels. DO NOT FREEZE, Shipping Label, 3" x 4"
DRY ICE Shipping Label, 3" x 1-1/4"
Fragile Shipping Label, 3" x 2"
GHS Label, 1-1/2" x 1-1/2"